AMES, Iowa — Projects by 52 Iowa State University students who studied in Italy last fall are on display today through March 31 in the ISU College of Design’s Gallery 181. 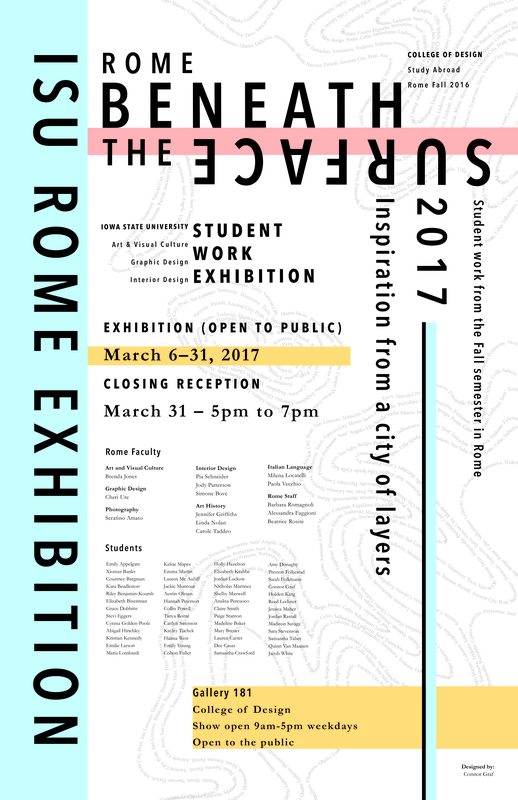 Titled “Rome Beneath the Surface: Inspiration from a City of Layers,” the exhibition features work by 19 graphic design, nine integrated studio arts and 24 interior design students who participated in the fall 2016 College of Design Rome Program. The show includes drawings, paintings, photographs, mixed-media work, scale models, journals, books, posters, and corporate identity and packaging design projects completed during the semester in Italy. A closing reception will be from 5 to 7 p.m. Friday, March 31, in Gallery 181 and the college’s Lyle E. Lightfoot Forum. Gallery 181 is located on the first floor of the College of Design building on the west side of the Iowa State campus. Exhibition hours are 9 a.m. to 5 p.m. Monday through Friday or by special arrangement. The gallery will be closed during March 13-17 during the university’s spring break. 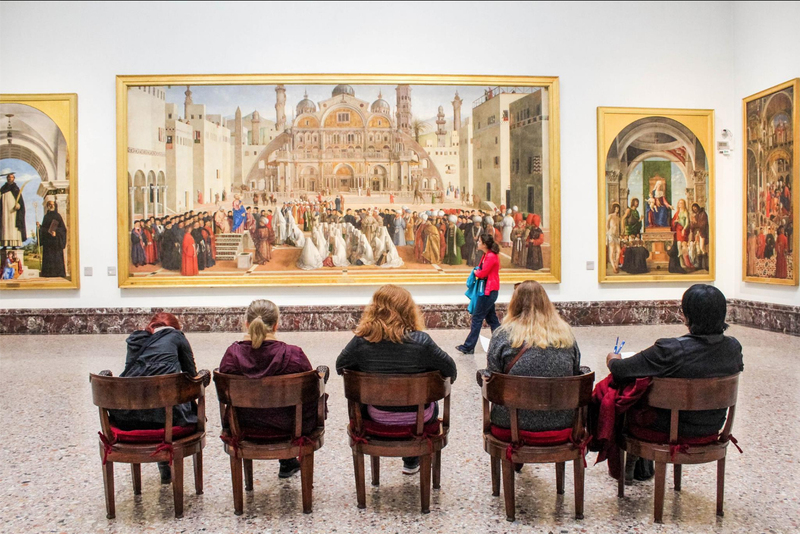 Fall 2016 Rome Program courses were taught by Iowa State faculty members Brenda Jones, professor of art and visual culture, and Cheri Ure, senior lecturer in graphic design, along with Rome-based instructors Serafino Amato, photography; Jennifer Griffiths, Linda Nolan and Carole Taddeo, art history; Simone Bove, Jody Patterson and Pia Schneider (resident director of the Rome Program), interior design; and Milena Locatelli and Paola Vecchio, Italian.